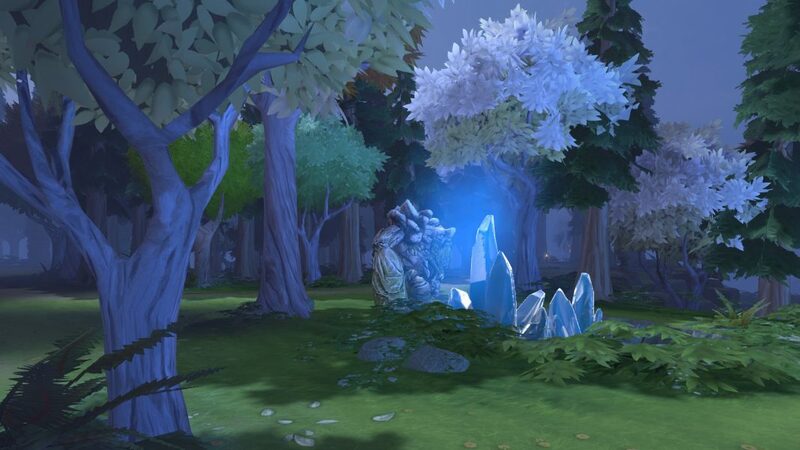 Why does the terrain on the Dota 2 battlefield look the way it does? 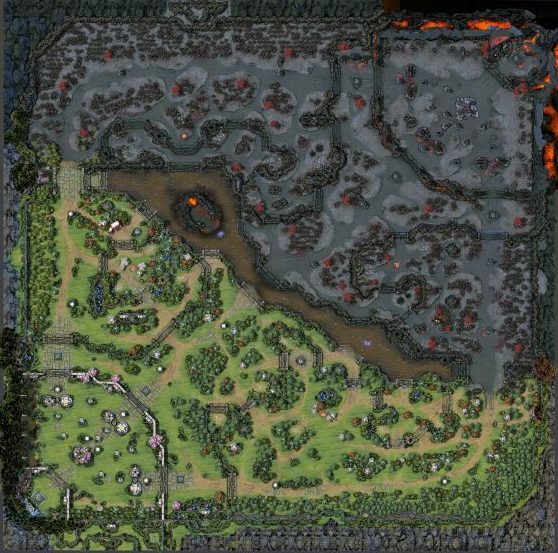 In this article, we propose several hypotheses for geologic processes that have sculpted Dota 2’s map. 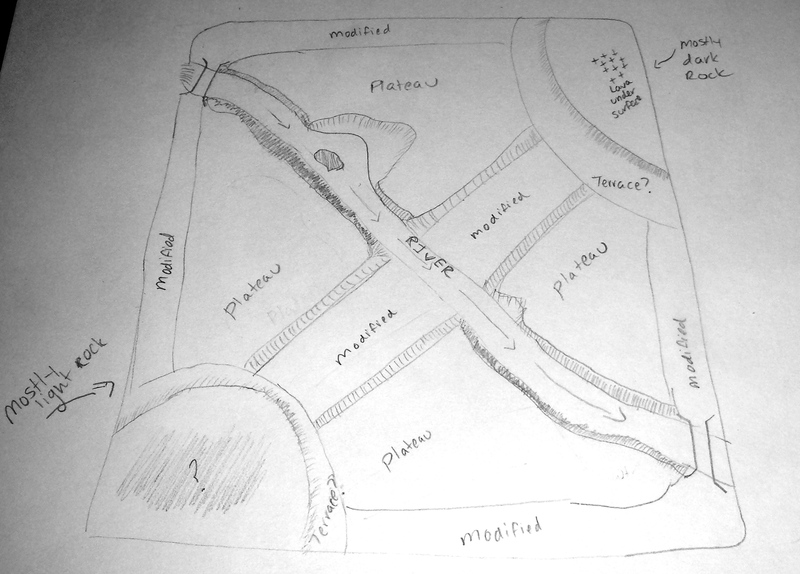 My introductory geology textbook always featured photos of real-life locations alongside sketches of “what a geologist sees.” With this in mind, I took a quick glance at the map and drew a sketch (Fig. 1) to get us started. Later, we’ll discuss various geologic explanations for the landscape of the Dota terrain. Screenshot of the game map. 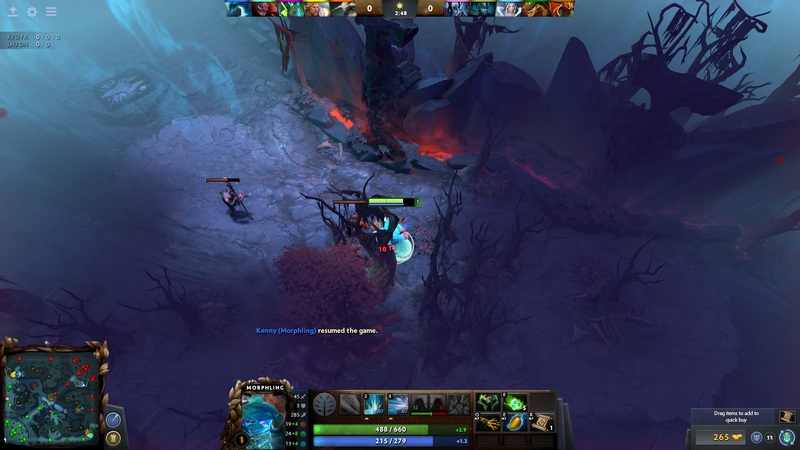 Figure 1: What a geologist sees in the Dota 2 map. There’s obviously a hot spot (Fig. 2) under the Dire base. All that lava and geothermal heat has to come from somewhere, and you can get a glimpse of it when Dire’s Ancient explodes. Since Dire doesn’t have a big conical volcano as part of its base, we can assume the lava is probably just issuing from various volcanic vents. The rocks are pretty dark in color, so we can assume they are rich in iron and magnesium minerals, aka “Mafic” (Magnesium-Ferric) rocks. Furthermore, thin, low viscosity lava tends to issue from vents that don’t have cones around them, and low viscosity is often associated with basaltic melts, which harden into the dark rock basalt. Mystery solved. 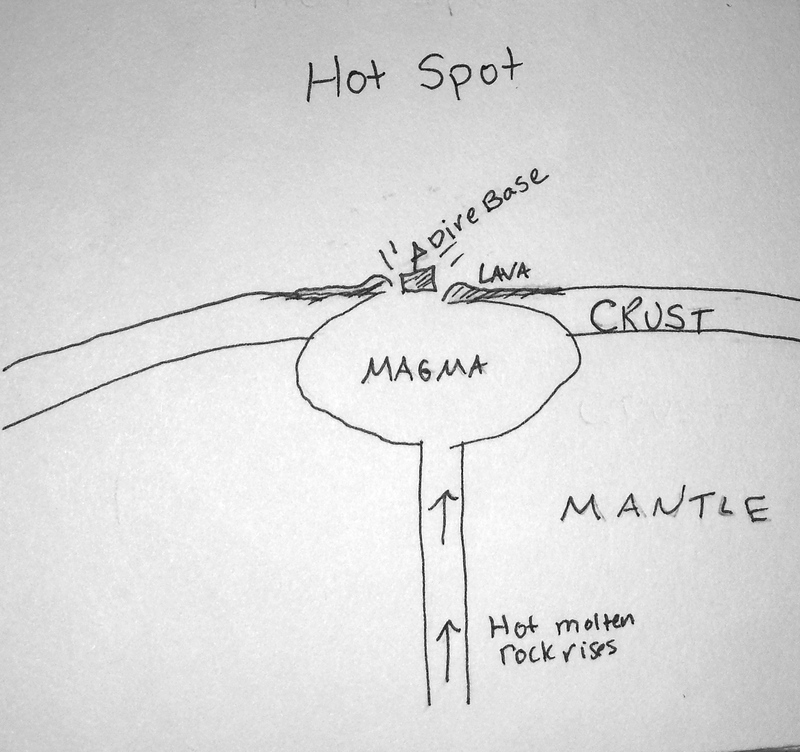 Figure 2: A diagram of a hot spot. On the Radiant side, the rock type is a little more difficult to determine. If you show a geologist a buff colored rock and ask them what rock it is, they will likely let out an exasperated sigh. There’s no shortage of rocks that are tan or buff-colored. Most likely, the rocks on the Radiant side are sedimentary of some sort. Could be sandstone, could be limestone, but you won’t know until you drop some hydrochloric acid on them. Our Community Manager, Gillian, noted that Tiny resembles the rocks on the Radiant side. According to his lore, Tiny doesn’t know where he came from, but he may want to send off one of his scabs for geochemical analysis along with a piece of the Radiant Ancient next time it explodes. There’s hardly any large-scale topographic relief on the Dota map, so it’s hard to imagine why the river flows the direction that it does. Considering that the river is easily crossed by all heroes—even those with stubby little legs and carts full of mines—it’s obviously not very deep, and, furthermore, the depth is extremely consistent. The river is clearly lacking a “thalweg” (Fig 3. ): there’s no obvious spot where the water is the deepest. Typically, the natural flow of a river produces a thalweg, and it is in different parts of the channel based on the shape of the stream. 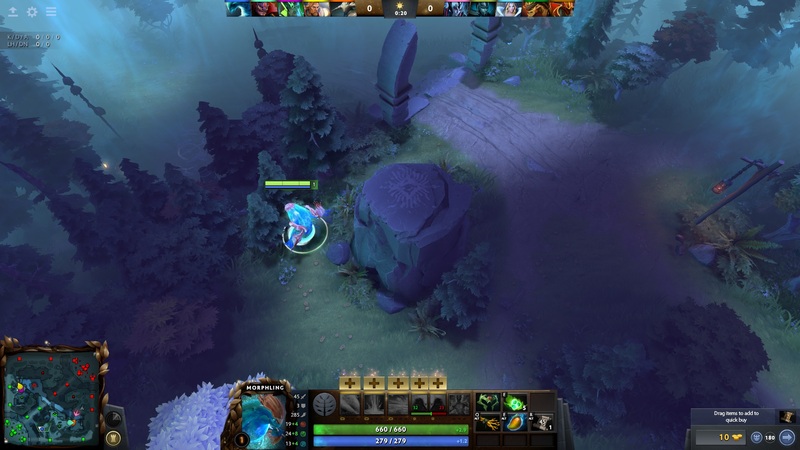 Since the river that goes across the Dota map is pretty straight, we can assume it’s not in meander or braided stream stages. Laminar flow can produce this sort of pattern, so we’ll assume that the river is basically flowing along without any eddies or turbulence and therefore is all one depth. The stairs at the ends of the river raise a few questions about where the water actually goes, but for the sake of simplicity, let’s assume the engineers of the Dota world put in a few culverts under the stairs to let the water pass through. 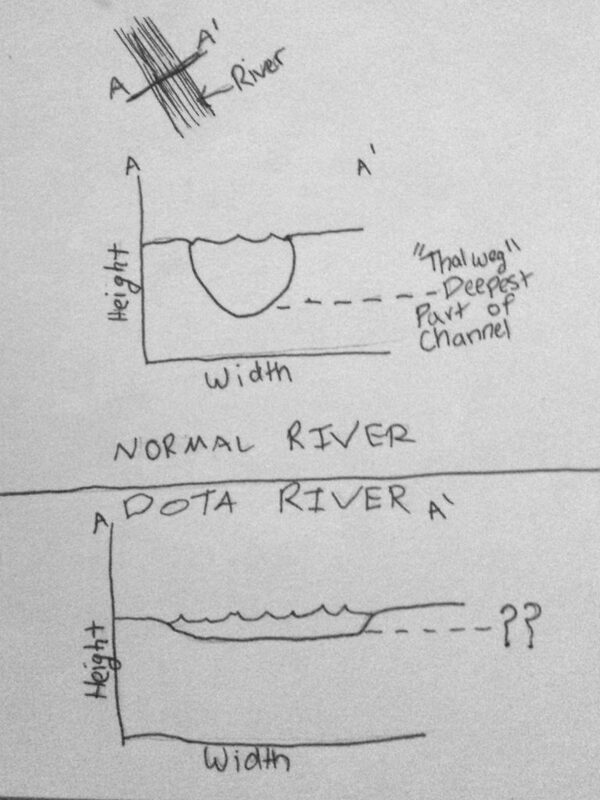 Figure 3: A typical river cross section, complete with thalweg (above) and a hypothetical cross section of the river in Dota 2 (below). Roshan’s pit is another curiosity. It’s possible that it’s the remnants of a large boulder that sat in the middle of the river, and Roshan hollowed it out to make it a cozy little nook to live in. Or it could have been an eroded arch that eventually became a pillar and later, Roshan’s home. At any rate, he better be planning on fortifying the upstream side of it if he wants to keep living there. What does he do in there all day? Perhaps he’s slowly mining blocks of stone out of his home for barracks and shrine-building purposes. There are a lot of geomorphologic explanations for why some ground is high and some is low. We know that certain areas on the map have little towers, sort of like sea stacks or hoodoos, that are great for placing wards on top of or cliffing heroes. Each team’s base is built upon a terrace—were these terraces naturally occurring, or created by man hero? One of the striking things about drumlins is that they usually have an obvious orientation and indicate which direction the glacial ice was flowing. 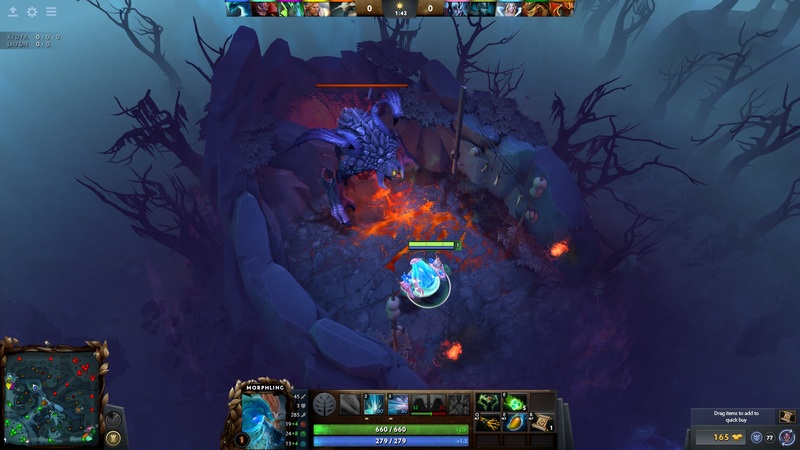 In contrast, the patches of high ground on the Dota 2 map don’t seem to show any preferred orientation. So let’s rule out glaciation for now. 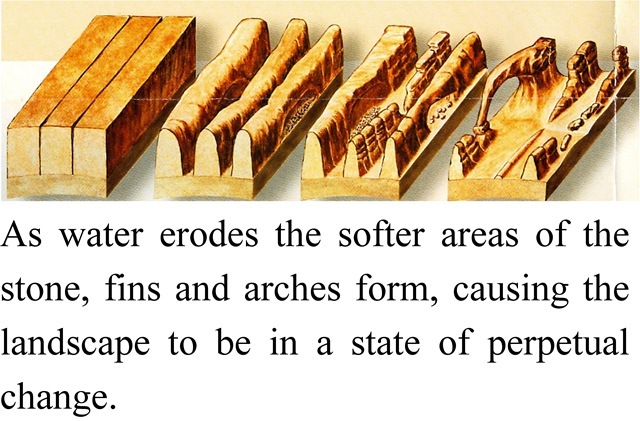 Another geomorphologic explanation for most of the features is water. A huge flood, to be more precise. Glacial outburst floods, or jökulhlaup in some contexts, are catastrophic releases of water that was either dammed by glacial ice or glacial landforms (or under a glacier). 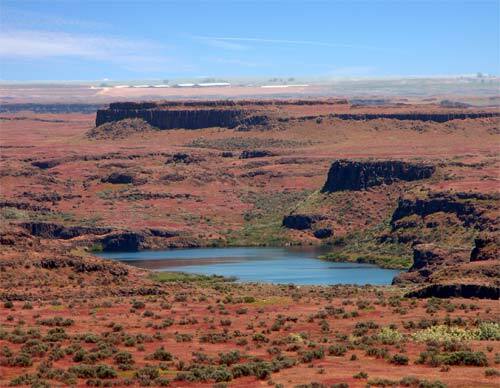 The Missoula Floods are the most well-known example of this in the United States. They created landscapes that look like Figure 5 below. 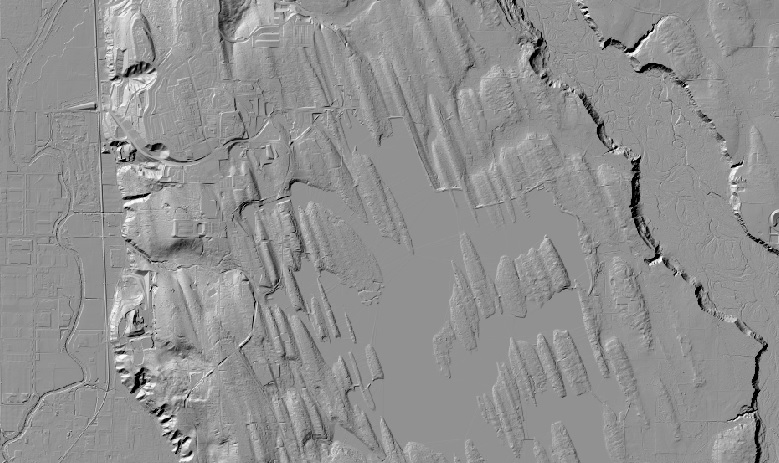 Some of those plateaus look awfully familiar, don’t they? 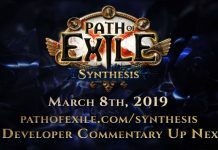 I think this hypothesis is a more fitting explanation for Dota’s various cliffs, plateaus, and terraces. The stark transition between the Radiant and the Dire side is fairly abrupt. Once you cross the river from Dire, you’re in a lush paradise. 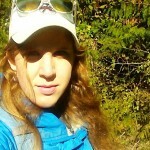 We can propose that the Dire side was recently scorched by some rampant wildfires which weren’t able to cross the river. Perhaps these fires were set off by some lava (or Razor’s lightning). 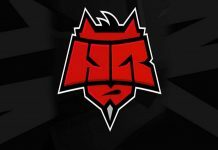 Dota uses gold as a currency, so there’s clearly some gold available somewhere in the general region. 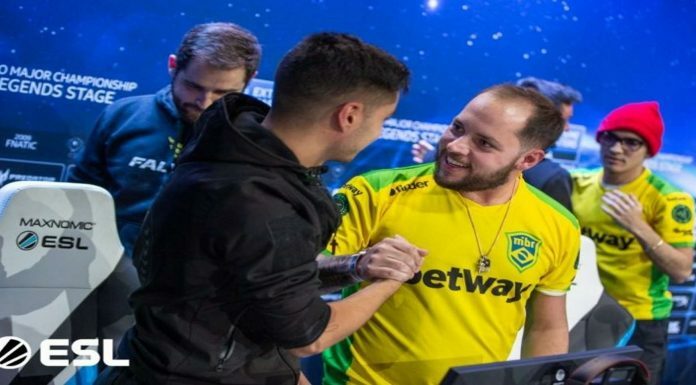 Perhaps the reason why heroes gain gold constantly is because they all have mineral prospects somewhere in the area and their prospects are continually producing. 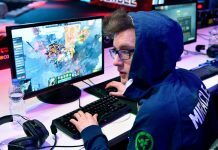 If, like me, wondering about the Dota terrain keeps you up at night, you finally have some reasonable explanations for how it all formed. Next time you’re 20 kills ahead and the enemy team is feeding, stop and take a look around at the landscape. If I’ve piqued your curiosity and you’d like to learn more about the geological processes I’ve presented here (or argue your own hypotheses about how the terrain in Dota was formed), drop me a line on Twitter!